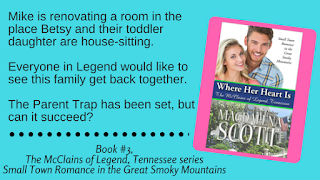 Where Her Heart Is is the third book my The McClains of Legend, Tennessee series. I originally wrote it for the short story section of a women's magazine. Alas, I got a rejection letter, but it worked out for the best, because it turned into the second chance love story of a young couple and their adorable daughter--much, much better than the original cute short story. You can read the first two chapters on my website by clicking here. If you haven't already done so, please take a moment to subscribe to the Sweet Romance Reads newsletter by clicking here. 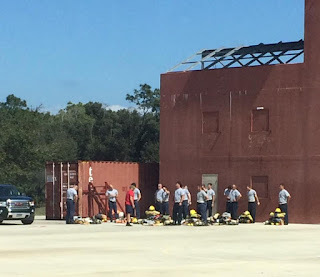 Once we arrived in Bonita Springs we saw the fireman were training. Naturally we snapped a picture of the men while they discussed how to save people from the 'faux' burning building. It was so cool. In Miami I don't live anywhere near a training facility like that. And while I don't write fireman stories, it could be finish. Now I don't read all the books that authors say fits the bill and I saw a few of the covers and said 'hmm that doesn't seem right' but I took everyone at their word. Giving books away is fun. So I hope you enjoy the selection and I hope the authors see the value of offering samples. There’s an old Texas tale that says when the Mesquite trees begin to bud out, winter is almost over and spring is just around the corner. Well, seeing as it’s been almost 80 degrees here where we live, my husband and decided to test this notion. So we went for a walk in the woods behind our house and guess what? 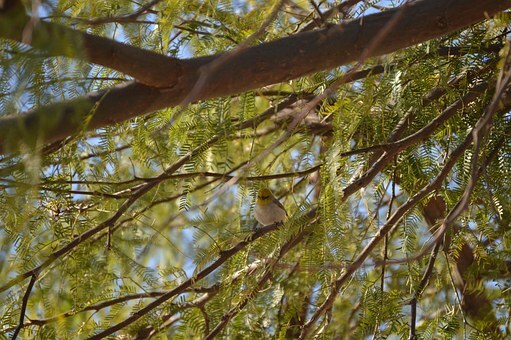 The Mesquite trees are budding! There’s new signs of spring everywhere, including a few bluebonnets blooming. So, it got me to thinking about spring. 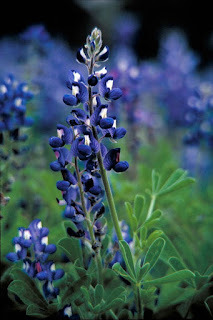 I love the time of the year when all the flowers are in bloom and everything is so green and pretty. New life begins in the animal kingdom as well and the circle of life starts over again. 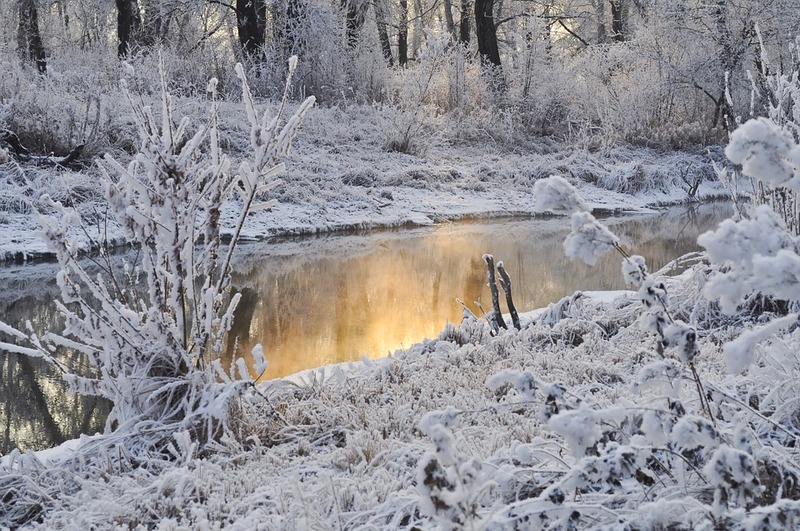 When I think about new beginnings, I think about how they are woven into the stories we write. As an author, I love creating stories where two broken people come together and find their new beginning that ends in a happily ever after. In my latest release, Grace And The Rancher, my heroine Grace Bradford finds forgiving herself is the hardest thing to do. 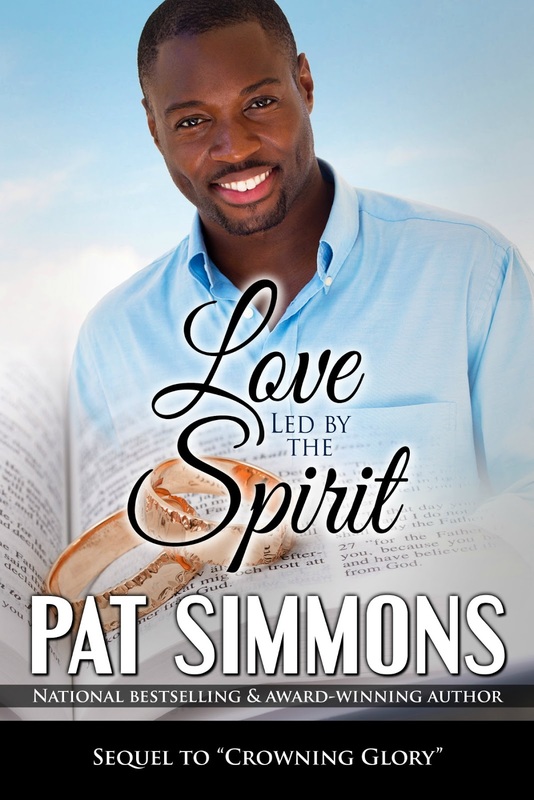 Grace suffered abuse at the hands of the man who was supposed to love her. Grace was a rising star on the country music scene. 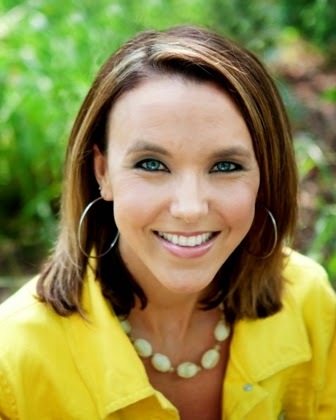 Everyone thought her life was perfect, but in truth her marriage was falling apart. After an argument that ended in a car crash, Grace’s husband is killed and Grace’s career finished. Running away from her problems seemed like the only answer. But what Grace found when she moved to Delaney Mountain was not only restoration, but redemption. And forgiveness from herself. Kyle Delaney, the hero of the story, is an alcoholic, just like his father. Kyle’s family life is dysfunctional at best. When Kyle almost killed his brother when he drove his vehicle while drinking, Kyle realized he had to get away from his poisoned home life to ever have a chance of changing. 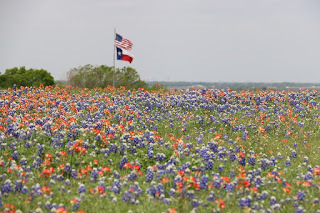 Kyle moved to Texas and became a success in his career, but still something was missing from his life. When his father reaches out to him asking for forgiveness, what Kyle finds when he comes back home to Delaney Mountain is the home he’d always dreamed of, and the love that is missing from his life. 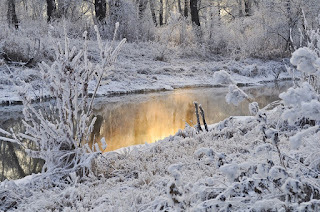 So wherever you are in the country, whether it’s cold where or warm, know that spring is just around the corner, and a new beginning is on its way. 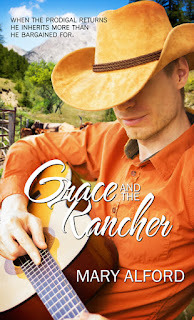 Today, I'll be giving away an ebook copy of Grace And The Rancher to on commenter. Like many authors, I often use photographs to inspire my writing. 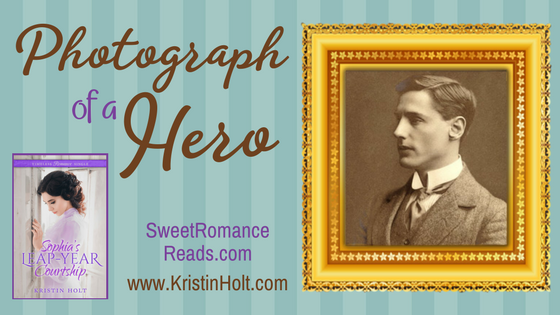 Who better to inspire a fictional hero, than a handsome true-to-life hero? Captain Robert Gibson, was born in 1886 in Glasgow, Lanarkshire, Scotland. Intelligent, well-educated, uncommonly bright, and patriotic, he gave his life as a military war hero in WWI. 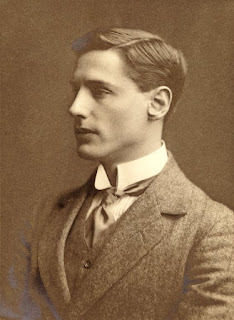 Captain Robert Gibson, Scottish scholar and WWI soldier killed in 1915. Inspiration for Chadwick Hughes. The first time I saw his image, I was astounded--handsome! Loyal, brave, bright, strong. In my mind's eye, at least, I patterned Chadwick Charles "C.C." Hughes, hero of Sophia'sLeap-Year Courtship after this handsome war hero, with utmost respect. 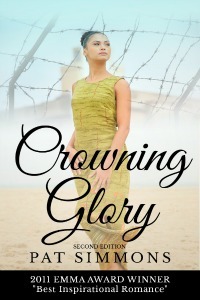 Cover model on book cover, inspiration for Sophia Sorensen. The cover was ready for this new Sweet Romance (set in the winter of 1888-89) by the time I needed a visual image of my heroine, Sophia Sorensen. I already knew my heroine had to be somebody pretty amazing, because I'd borrowed my great-great-grandmother's name. Interesting, at least to me and my immediate family, the cover model strongly resembles the true-to-history Sophia on my family tree. I've written a blog post about why and how images spark creativity in writing. This time, I already had a story. I just needed an anchor--mental images of the characters to help readers sketch an image too. 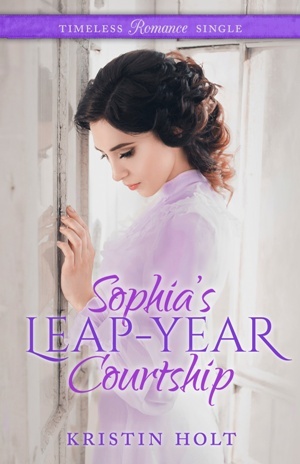 As I wrote this brand-new release, I gathered images during my research process about every component of the story: fashion, bicycles, railroad, mail-order brides (and fraudulent companies), hard winters, leap year, leap-year courtships, and more! The images are all gathered on a Pinterest Board for this title. 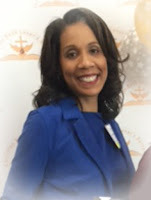 Please, stop by and take a look. Sophia's Leap-Year Courtship released yesterday! Learn lots more about this new title and the research pictured on the Pinterest board, on my website. 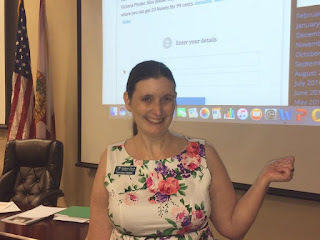 I write frequent articles (or view recent posts easily on my Home Page, scroll down) about the nineteenth century American West–every subject of possible interest to readers, amateur historians, authors…as all of these tidbits surfaced while researching for my books. 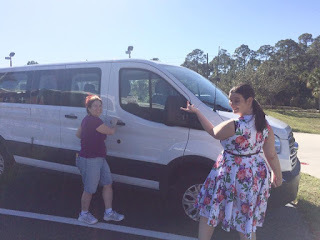 I also blog monthly at Sweet Romance Reads, Sweet Americana Sweethearts, and Romancing the Genres. You'll love it! Subscribe HERE. Years ago, I was chatting with a fellow author and good friend, who is white, about that description. To me, as an African American, it means exactly what it says, a tall man about six-three, built, and with satiny dark skin, and I would use the word fine to kick it up a notch. We laughed at our interpretation. A man with dark hair came to mind. Most black folks I know have naturally dark hair, so that wouldn’t be descriptive to me. 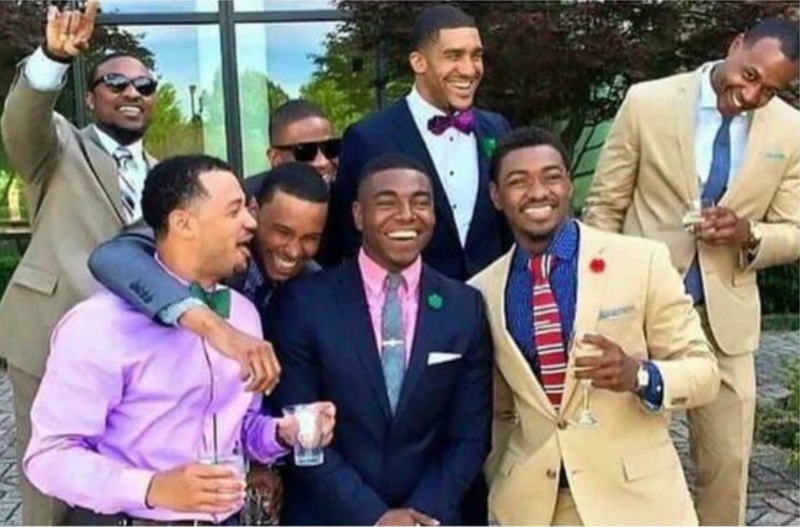 Our men’s hair could be cut in a fade, curly, wavy, twisted, shaven, afro, locks, and more. With publisher’s lack of diversity when it comes to romance in color, I decided to let the pictures tell the story. 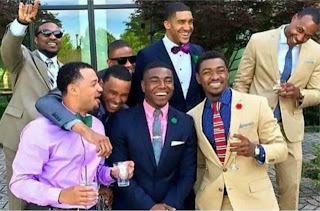 This group of handsome fine men could inspire any of my characters: They aren’t models, but lawyers, doctors, scientist, social workers, and other professionals. I love personality in a character, and they have it. 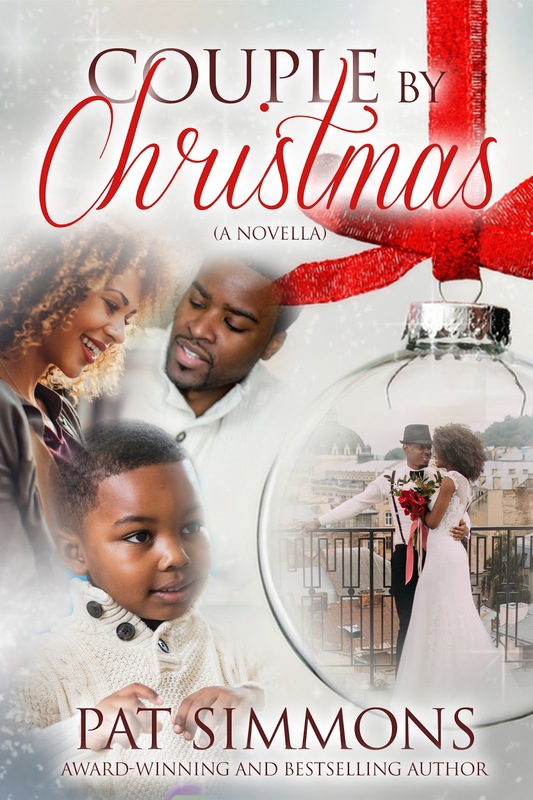 As American Black History Month commemoration closes out, I wondered if there was more diversity in romance, more non People of Color would read black romances. After all, there was a time when publishers rejected romances if the characters weren’t white. But blacks read them anyway, because they wanted a good story. Recently, the ABC network announced it will feature a black woman as The Bachelorette for the upcoming season. Critics say it’s been long in coming. See what some friends of mine are saying about my Christian romances. By the way, not only did this book win Best Inspirational Romance for the year, but it was also my favorite. Pictures are worth more than words, so I wanted to just share some from my LOVE IS IN THE AIR board on Pinterest. These black couples are the ones I write about in my stories. 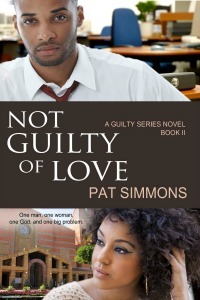 See and feel their love, then pick up a black romance and fall in love with my characters. For hundreds more pictures, follow me pinterest.com/patsimmonsbooks. 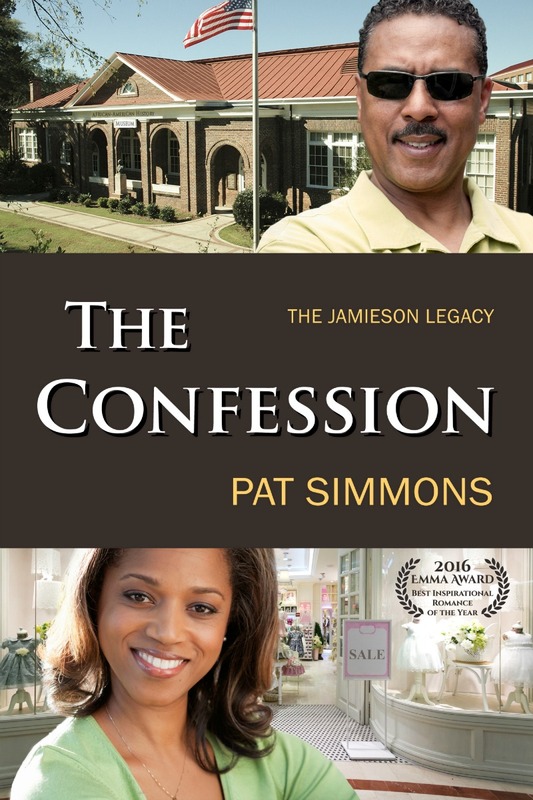 Pat Simmons is celebrating ten years as a published author with more than thirty titles. She is a self-proclaimed genealogy sleuth who is passionate about researching her ancestors and then casting them in starring roles in her novels, in the hope of tracking down any distant relatives who might happen to pick up her books. 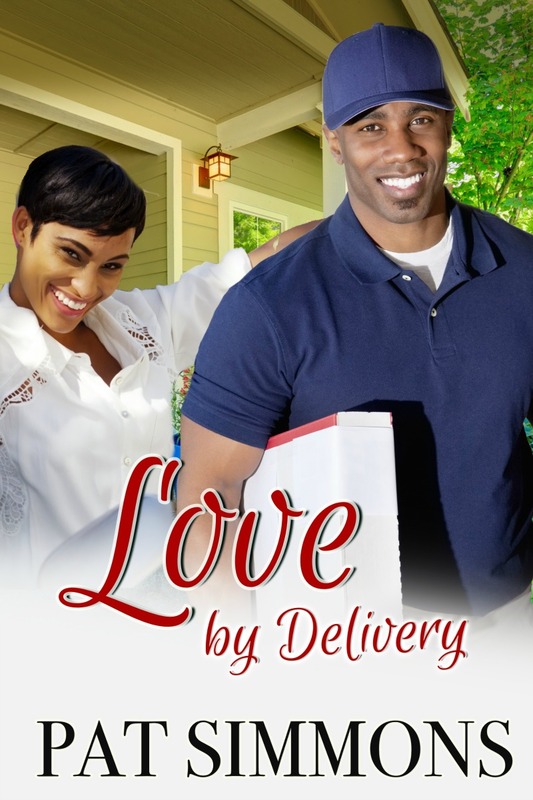 Her latest release is LOVE BY DELIVERY. Senior Accounts Manager Dominique Hayes has it all—money, a car and a condo. Well, almost. She’s starting to believe love has passed her by. One thing for sure, she can’t hurry God, so she continues to wait while losing hope that a special Godly man will ever make his appearance. Package Courier Ashton Taylor knows a man who finds a wife finds a good thing. The only thing standing in his way of finding the right woman is his long work hours. Or maybe not. A chance meeting changes everything. 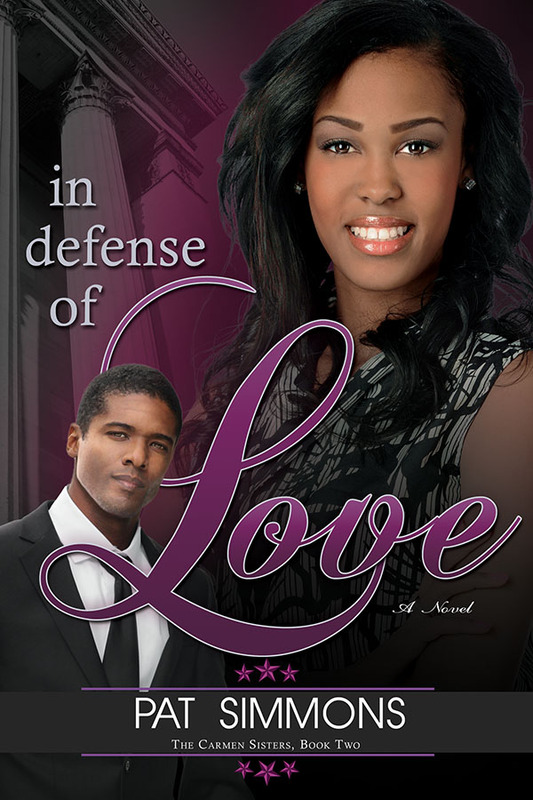 When love finally comes knocking, will Dominique open the door and accept Ashton’s special delivery? 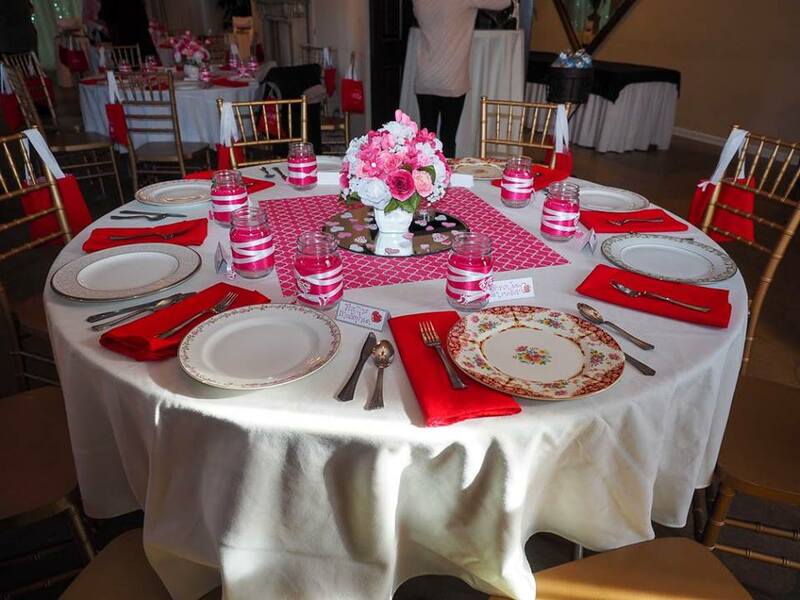 The first stop I made on my Celebration of the South tour was Love Our Readers Luncheon. Each February, I co-host an event that spotlights the south. 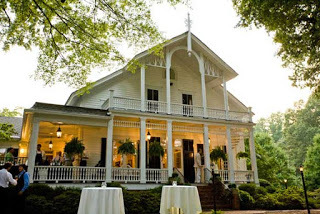 This year we met at the Marietta Educational Garden Center, a historical home near Kennesaw Mountain. We celebrated in true southern style by eating on fine china, sipping peach tea, and talking about all things southern. 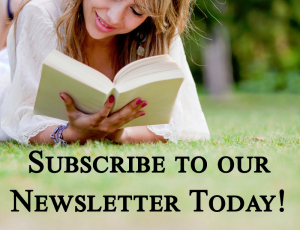 It's an amazing time, and we have so many returning readers each year! If you live in driving distance to Kennesaw, GA, you might want to check this out. 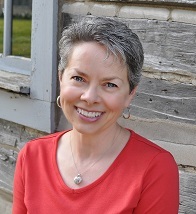 Next year, our keynote will be Patti Callahan Henry! The next stop on my Celebration of the South tour will be in Atlanta, Georgia, at the Romantic Times Convention Magnolias and Moonshine County Fair, where you’ll fall in love with the South. This isn't just one event, it's a HUGE project involving twenty New York Times, USA Today, and Amazon bestselling authors who joined together to bring you a taste of Southern charm. There is something for everyone with these ten sweet and ten sizzle contemporary romance novellas. 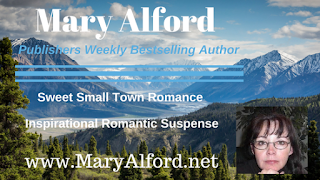 You’ll enjoy stories with cowboys, weddings, county fairs, lovers reunited, and much more. Step into the world of the South and hear the cicadas, taste the mint juleps, see the stars, and smell the magnolias. A new novella will be released daily beginning April 10th through April 30th. My contribution to the series is SASSY BRIDE. Abandoned by her parents and left to raise two sisters, Sadie Dixon has spent her life sacrificing for her family. 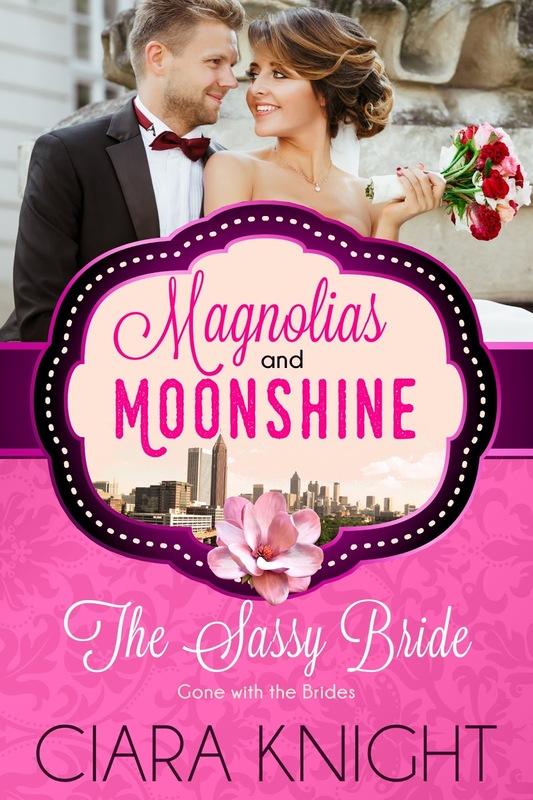 When the eldest son of the rich Dumont family, Ashton, wins her heart and hand in marriage, he showers her with every advantage money can buy. But when their worlds collide, Sadie faces the first sacrifice she isn't sure she can make: leaving her family and lifelong dreams of owning a bakery behind for the man she loves. 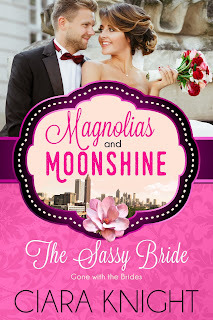 For a chance to win an advanced reader copy of The Sassy Bride, tell me a country colloquialism that you've heard. :) One lucky commenter will win! Hi Readers! Julie Jarnagin here. Today I wanted to tell you about a free book! You can get How to Lose a Guy in 10 Dates free for a limited time (expires Saturday!). Download now at your favorite online retailer. As Angela’s dates #7, #8 and #9 go wrong, she and Drew get close--even though she knows he’s leaving. 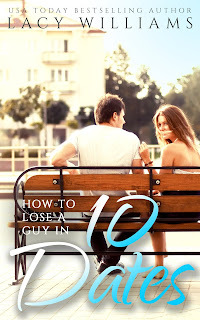 Can Drew open his heart to love again, or will Angela lose the perfect guy in 10 dates? 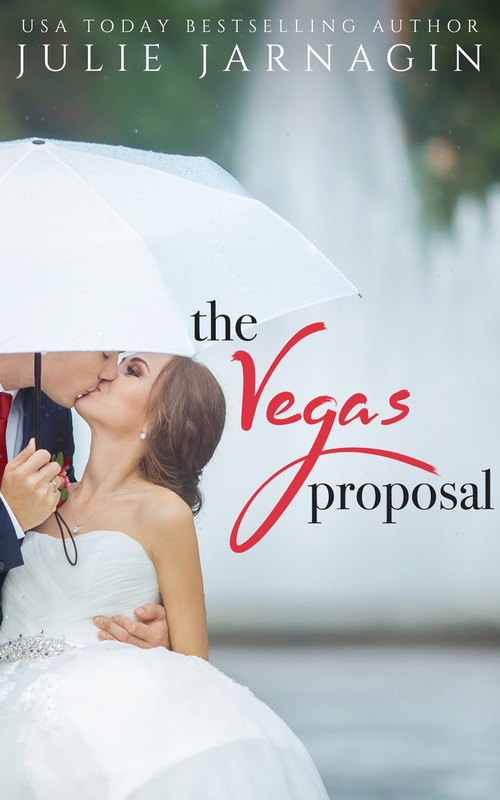 My latest novel, The Vegas Proposal, is now available!